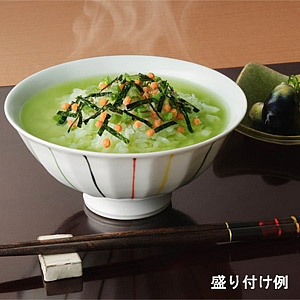 Wasabi flavored chazuke from Nagatanien. 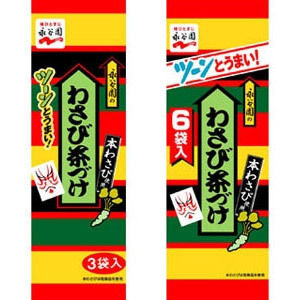 Contains salt-preserved wasabi, nori, and arare. Comes in packs of 3 or 6 sachets. Just pour a sachet on top of a bowl of boiled rice and add hot water to make a delicious and healthy dish. Contains approx. 2.1g of salt. Not suitable for people with wheat, soy or dairy allergies.